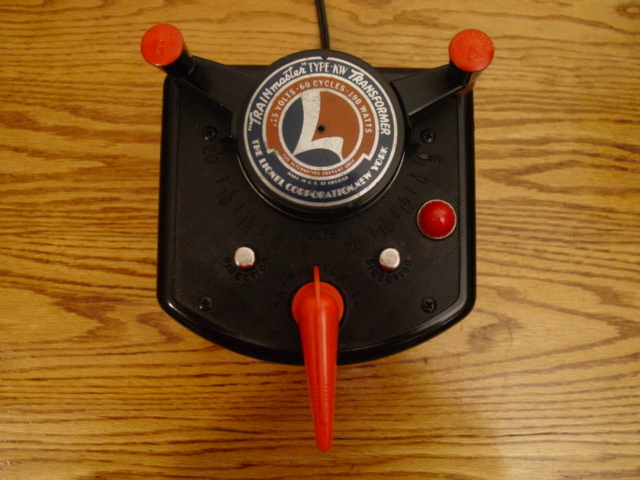 Lionel is the registered trademark of Lionel LLC and no infringement is intended and we are not affiliated with LIONEL LLC. Currently I am shutting down my repair business from 04-01-2018 until approximately 12-01-2019. I am currently out of all transformers for sale at this time and will not have any until sometime in 2019. I can refer you to someone for repairs while I am shut down. I am still selling parts and have more than ever before so please contact me if I can help you in that area. If you need help with repairs please email me. I try my best to return emails and calls within 24 hours. I am sorry to have to shut down but I am currently behind on repairs and wish to catch up. 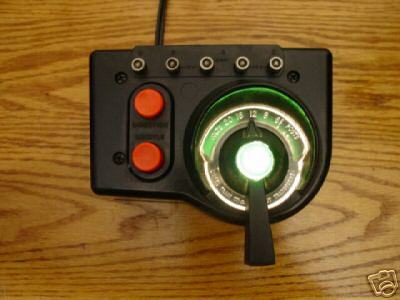 First thing: If you purchase and have any problems with the Tranformer you purchase I will help you beyond 1 year. There is no time limitations when you buy from me. No gimmicks here, just good old fashioned guarantees like the good old days! Email or call me and we will make things right. I do a lot of repair work for people who have bought transformers on ebay and were disappointed. So buy with confidence. I also sell parts if you need them. I HAVE BEEN SELLING TRANSFORMERS ON EBAY SINCE DECEMBER OF 2000 and working on them since 1987!! In 2010 to I serviced/sold over 200 ZW's, 28 Z's (Lionels most powerful transformer!! )50 KW's, 50 LW's, and over 200 1033's,1044's,RW's, SW's, and TW's. Working on these daily has perfected my skill and enhanced what I was taught early on!! Practice makes perfect!! 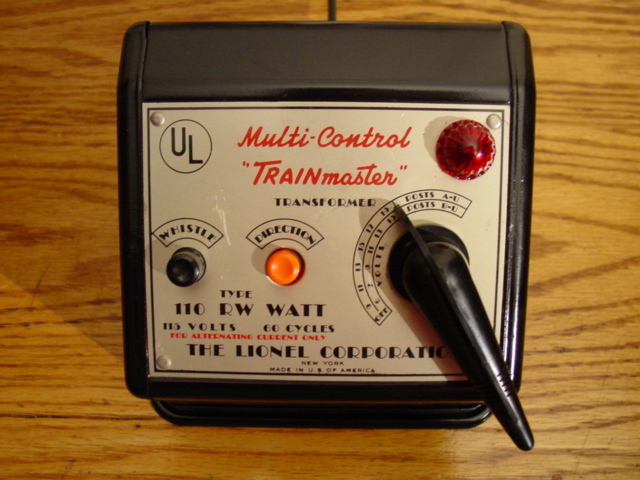 The person I learned tranformer repair from ran a Lionel Service Station from 1947 to 2001. He passed away several years ago and I first saw him press in rollers on our ZW with his Blue Lionel Arbor Press when I was 7 years old. My dad took me to his house where he ran his service station on Rodman Ave in Portsmouth Virginia. Many years later I was using a Blue Lionel Arbor PRESS!!! As a young adult I went back and visited Clyde Nordan in Portsmouth, VA at his lionel service staion No. 256 (Nordans Train Service) and decided to start working on Trains and Transformers. 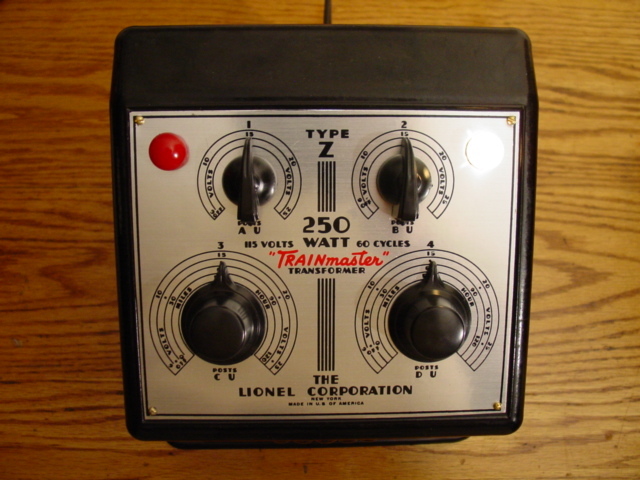 I remember this story when I asked about his Lionel No 5 Tester ( I wanted one!!). I asked where I could get one and he said I got mine from Mr (Lionel) Cowen over 50 years ago!! I am truly blessed from receiving help and mentoring from the owner/operator of one of the first Lionel Service Stations in the Tidewater (Norfolk,Portsmouth,Hampton,Va. Beach,Chesapeake) Virginia areas. Bottom line: I repair all Transformers by LIONEL SERVICE STATION SPECS and use Lionel tools and parts!! Currently I do all the transformer repair for the largest Lionel Train store in Greensboro, North Carolina. I also attend some of the TCA Train shows in the South Eastern Region. I have been collecting Lionel trains for over 40 years (first set a 2055 Post war Hudson) and repairing Lionel Trains and Transformers for over 25 years and pride myself to attention to detail. First thing NONE OF MY TRANSFORMERS ARE SOLD AS IS. I GLADLY ACCEPT RETURNS IF NOT HAPPY FOR A FULL REFUND OF PURCHASE PRICE!!. I only sell professionally rebuilt transformers and do not sell damaged or broken transformers. When you buy a transformer from me you need not worry. 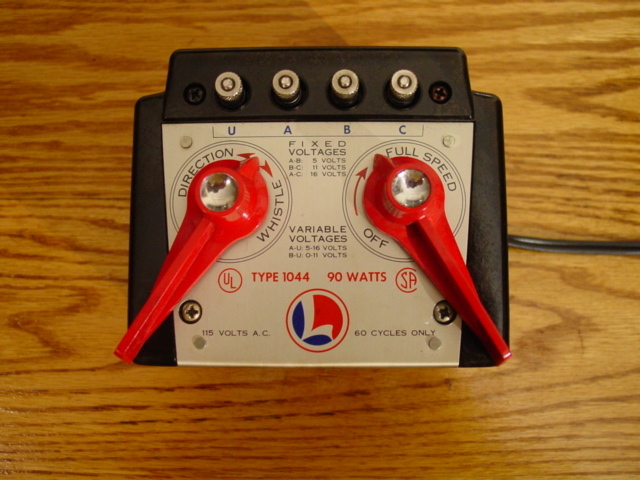 One of the most important things to consider when buying a Transformer is to buy one from someone who has replaced the power cord. Don't buy one from someone who says it still has the L on it and it is pliable. These transformers are 50 years old and if it has the original cord on it and you plan on using it, you will be replacing it. It is a 15-30 minute job for someone that knows what they are doing. 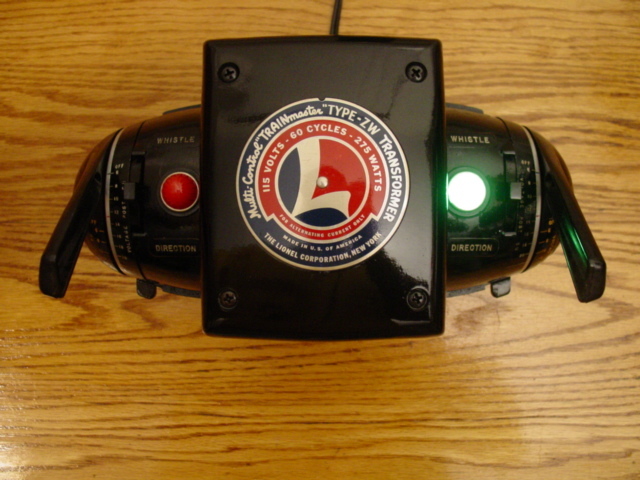 I test and recondition and if necessary repair each transformer. Why buy from someone else and be disappointed. Don't buy from someone who says,"I have no way of knowing if this works." In addition to professionally replacing power cords I also clean the excess carbon off the copper windings when applicable and also check/replace the carbon rollers when needed. I also test the circuit breakers and replace them with brand new circuit breakers when needed. 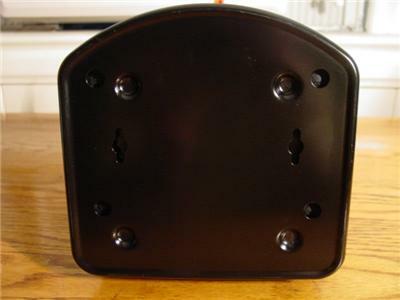 If the base plate is in poor condition I professionally sand it or have it sand blasted and then re-paint the plate in a Satin Black rust preventive paint. SEE PICTURES OF THE ZW AND KW BASE PLATES ON THE RIGHT. THIS IS PROCEDURE IS DONE FOR ALL BASE PLATES!! I also use a 1950 post war 2046 tender to test the whistle rectifiers and replace them if needed. If they are weak or don't work I replace them as well. I stock all replacement parts for the Transformers I sell so when one is needed I have it in stock. If you are looking for a post war Lionel Transformer please consider mine. Also I would like to add that I professionally package all items before shipping and insure them for more than the purchase price to cover complete refund of shipping charges as well as purchase price. In over 300 transformers shipped in 2008 we have had NO insurance claim's!!! So bid with confidence!! 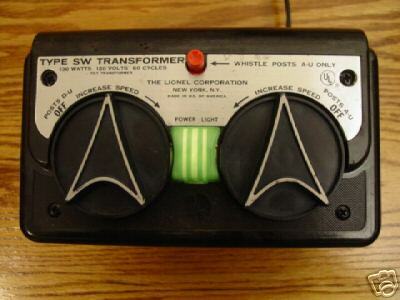 I will also repair your Lionel Transformer if you need it replaced so email me or call me for a price. Example I replace cords on ZW's for $12.00. I also accept trade-in's on your transformer and in some cases post war trains. Please contact me for a price. I currently have Z's, ZW's,KW's,SW's,TW's,RW's,LW's,1033's and 1044's for sale. Please email me at davis@lioneltransformer.com. Or call me Davis Lyons at 336-549-0343. Thanks for looking!! We buy,sale, and sevice Post War Lionel Transformers. 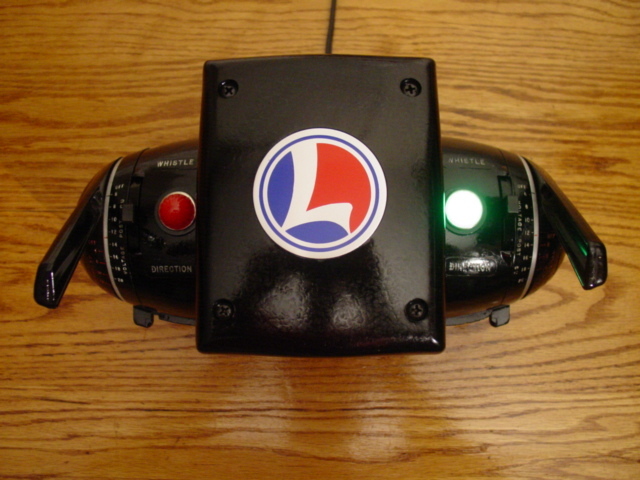 We also accept trade-in's toward the purchase of the Lionel Transformers we sell! ZW 1958-1962 275 watt model. Has sharp Orange ZW reproduction box w/4 inserts and 6 page copy of instructions. This is the Model ZW (R) series. This model uses white resistence wire like earlier models. Vintage Lionel package $300.00. ZW 275 watt model excellent condition $285.00 with nice reproduction ZW box w/4 inserts and 6 page copy of original instructions. Complete ZW package!! With Great reproduction ZW box w/all 4 inserts and copy of original instructions. The most underated ZW package!! with reproduction Kw Box and inserts with 6 page copy of instructions. This transformer is the best bang for the buck!!! All Boxes come with copies of original instructions!! 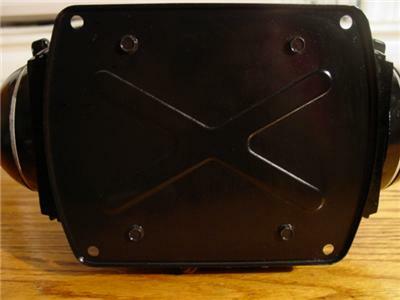 We've: added several new Transformers for sale. Please check us out.